Are you thinking to come to the Tokyo Olympics in 2020? 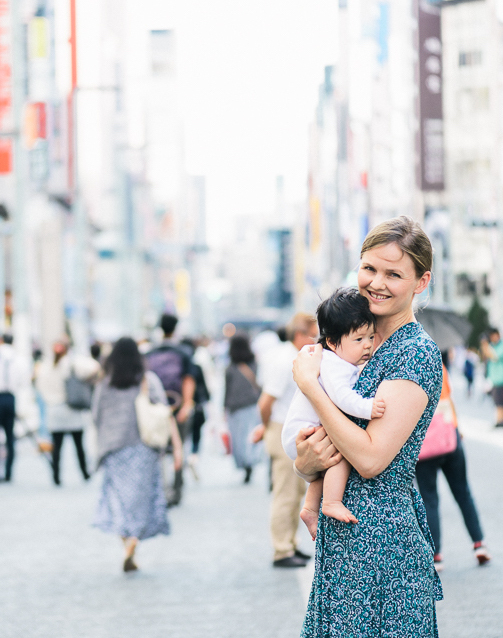 Maybe you will have a baby or toddler in tow, and you are wondering if this will be possible? Make sure you download this free PDF guide for the Olympics! Here is the link for the guide in other languages! Here is the website link for the Tokyo Olympics. These 2 zones expand across Tokyo in an “infinite” symbol. The Athletes Village is located at the spot where the 2 zones intersect! 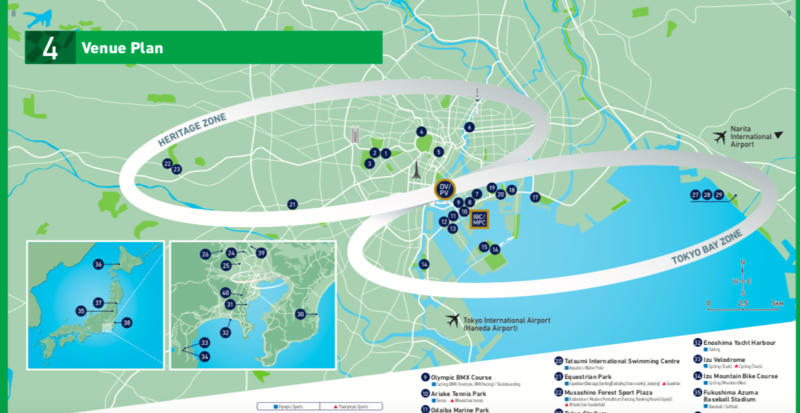 Map showing the 2 infinity rings – Heritage Zone and the new Tokyo Bay Zone. The Rugby will be held at the Tokyo Stadium (no. 23) in the left-hand side of the Heritage Zone. Swimming, skateboarding, etc will be held in the Tokyo Bay Zone (Odaiba area). 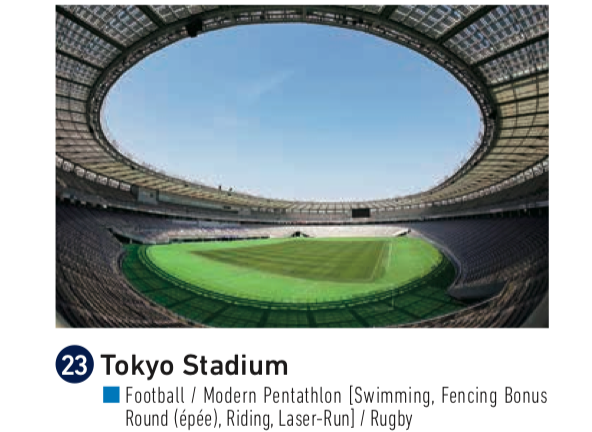 The great news is that these 2 main areas are covered in my Tokyo Guide! 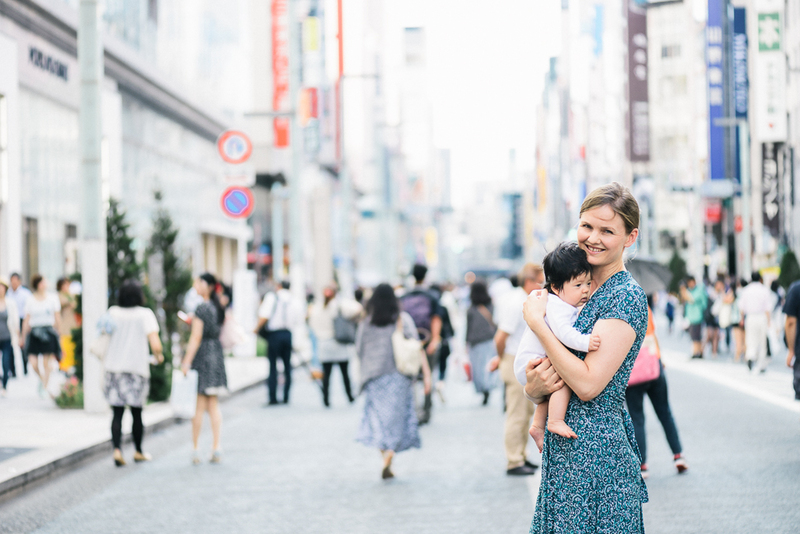 This is exciting, because you will know that the baby facilities, playgrounds, and baby-friendly cafes that are featured in my guide will all be within reach. I will be blogging about all the new locations that are popping up too, so by the time the Olympics arrives we will be ready to enjoy this exciting event with our babies and children in tow! 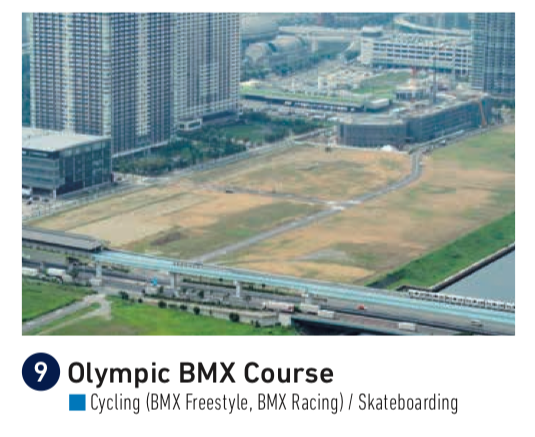 Cycling and Skateboarding will be held at the Olympic BMX course in the Tokyo Bay Zone. It is going to be so cool! Tokyo Olympics BMX Course for skateboarding! So cool! In terms of hotels, I recommend to book a hotel in advance that will be close to the main sports that you would like to see. For example, if you will mostly be in the Tokyo Bay Zone, then it would be highly recommended to book the Hilton or Nikko hotels in Odaiba. I will be blogging about all the hotels soon, so make sure you keep checking back here. 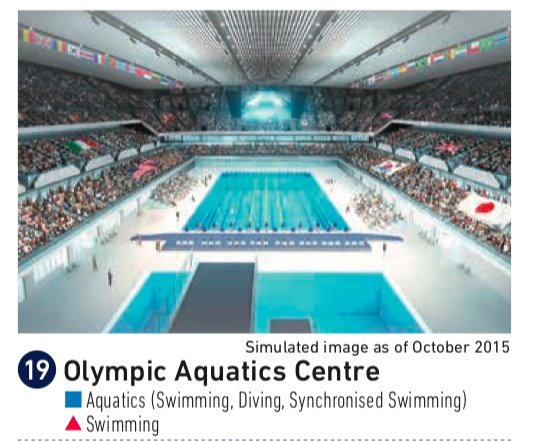 Hope this helps as some initial information for the Tokyo Olympics!